It had rained most of the morning. This was the first time the clouds rose high enough to see Elephant Butte, off to the right. Fifteen minutes later the rain came through again and obscured the view to the point where you couldn't even see the mittens. 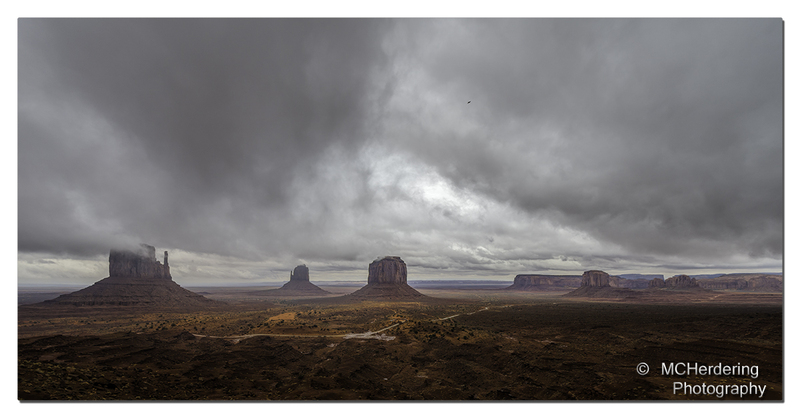 Dramatic weather only serves to enhance the view of Monument Valley in northern Arizona.